Bill McKibben has 1 media appearance. Saratoga: Bill McKibben and Sue Halpern "Wandering Home" and "A Dog Walks into a Nursing Home"
Don't miss this exceptional opportunity to hear Bill McKibben and Sue Halpern read from their books. In Wandering Home, one of his most personal books, Bill McKibben invites readers to join him on a hike from his current home in Vermont to his former home in the Adirondacks. Here he reveals that the motivation for his impassioned environmental activism is not high-minded or abstract, but as tangible as the lakes and forests he explored in his twenties, the same woods where he lives with his family today. Funny, moving, and profound, A dog walks into a nursing home is the story of how one virtuous—that is to say, faithful, charitable, loving, and sometimes prudent—mutt showed great hope, fortitude, and restraint (the occasional begged or stolen treat notwithstanding) as she taught a well-meaning woman the essence and pleasures of the good life. Bill McKibben is the author of more than a dozen books, including The End of Nature, Oil and Honey, Eaarth, andxDeep Economy. He is the founder of the environmental organization 350.org and was among the first to warn of the dangers of global warming. He is the Schumann Distinguished Scholar at Middlebury College, a fellow of the American Academy of Arts and Sciences, and the 2013 winner of the Gandhi Prize. Sue Halpern is the author of five previous books. Her writing has appeared in The New York Review of Books, The New York Times Magazine, Time, The New Yorker, Parade, Rolling Stone, and Glamour, among others. She has been a Rhodes Scholar and a Guggenheim Fellow and is a scholar in residence at Middlebury College. She lives with her husband, the writer Bill McKibben, and Pransky in Ripton, Vermont. THIS EVENT IS SOLD OUT! Bill McKibben will be speaking at Western Washington University's PAC Mainstage as part of Western Reads on Sat., May 17 at 3pm. Tickets are available through the Western box office online, or by calling (360) 650-6146. This month's special guest is Bill McKibben, author of a dozen books about the environment, beginning with The End of Nature in 1989, regarded as the first book for a general audience on climate change, and most recently, Oil and honey, as well as a memoir, Wandering Home. He is a founder of the grassroots climate campaign 350.org, which has coordinated 15,000 rallies in 189 countries since 2009. Time Magazine called him "the planet's best green journalist," and the Boston Globe said in 2010 that he was "probably the country's most important environmentalist." Tonight's musical guest is local singer-songwriter Dana Lyons. The Chuckanut Radio Hour, a recipient of Bellingham's prestigious Mayor's Arts Award, is a radio variety show that began in January 2007. Each Chuckanut Radio Hour features a guest author and includes guest musicians, performance poet Kevin Murphy, Cascadia Weekly columnist Alan Rhodes, an episode of "The Bellingham Bean" serial radio comedy, and some groaner jokes by hosts Chuck & Dee Robinson and announcer Rich Donnelly. The Chuckanut Radio Hour's first guest was Erik Larson and has since included Alexander McCall Smith, Elizabeth George, Cheryl Strayed, Sherman Alexie, Tom Robbins and Garrison Keillor, among many others. The Radio Hour airs every Saturday evening at 6pm and Sunday at 9pm on SPARK RADIO, KMRE 102.3FM. Tickets for the Chuckanut Radio Hour are $5 and are available at Village Books and at BrownPaperTickets.com. Doors open at 6:30pm, and you must be seated by 6:45pm as the show begins promptly at 7pm. Tonight's show will be at the Heiner Theater, after all. Co-sponsored by Whatcom Community College Foundation, 12th Street Shoes, and Westside Pizza. Bill McKibben discusses his memoir "Oil and Honey: The Education of an Unlikely Activist"
Browse the nature and environment shelves, and you’ll see McKibben’s name as editor, introducer, or reviewer of most of the books there. From the call-to-action of his first book, The End of Nature to his current work with 350.org, he has been a leading voice in efforts to curtail our carbon-spewing ways. His new book examines how to carry on the struggle at both local and global levels. Beer and wine will be available. Come meet Bill McKibben, author of Oil and Honey: The Education of an Unlikely Activist. "A shocking and powerful reminder of the distance between our image of the family farmer and the corporate agribusiness reality. Make sure you read it before dinner." Bill McKibben, author of Eaarth: Making a Life on a Tough New Planet "Wenonah Hauter knows where the bodies are buried beneath the amber waves of grain. This is a terrific primer on the corporate control of food in the US, and the actions of those who fight back. By turns heartbreaking, infuriating and inspiring, Foodopoly is required reading for anyone who wants to understand both the scale of the challenge in reclaiming our food system, and the urgency for doing so." Raj Patel, author of Stuffed and starved: The Hidden Battle for the World Food System Wenonah Hauter is the executive director of Food & Water Watch, a D.C.-based watchdog organization focused on corporate and government accountability relating to food, water, and fishing. She has worked and written extensively on food, water, energy, and environmental issues at the national, state, and local levels. She owns a working farm in The Plains, Virginia. Bob Massie is an American environmental leader, author, Episcopal priest, and former anti-apartheid activist. His book Loosing the Bonds: America and South Africa in the Apartheid Years won the Lionel Gelber Prize for the Best Book on International Relations in 1997. Bill McKibben's book Falter: Has the Human Game Begun to Play Itself Out? is currently available from LibraryThing Early Reviewers. Bill McKibben's book Oil and Honey was available from LibraryThing Early Reviewers. Bill McKibben's book Eaarth was available from LibraryThing Early Reviewers. Bill McKibben is currently considered a "single author." If one or more works are by a distinct, homonymous authors, go ahead and split the author. 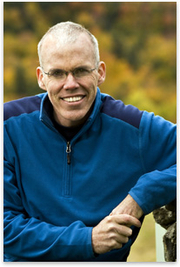 Bill McKibben is composed of 4 names. You can examine and separate out names.